The Ascension is a very consoling feast. It may not seem that way, if you only think of it as Jesus leaving the apostles to carry on by themselves. Furthermore, Matthew even says that when they first saw the risen Lord, “they worshiped, but [some] doubted,” which indicates some were struggling to believe (Matthew 28:17). But then Jesus speaks words that have encouraged believers from then until now, first sending them (and now us) out to make disciples of all nations by baptizing others into the life of the Trinity, and teaching them what Jesus taught. His final words in the Gospel have encouraged the church through the centuries and continue to motivate and strengthen all who take them to heart: “Behold, I am with you always, until the end of the age” (28:20). Our faith also tells us that Jesus is both with us and with the Father, interceding for us, praying for us, continuing to send the Holy Spirit, the “Spirit of wisdom and revelation resulting in knowledge of [God],” deepening our hope in the glory yet to come, and strengthening the bonds that unite us as his body, the Church (Ephesians 1:17). How does this feast encourage you in your life today? Adult: Jesus promises to be with us always. How do you experience his presence most? Child: What good news about Jesus could you share with your friends? Adult: The Spirit gives us inner wisdom and strength. When have you experienced this? Child: The Holy Spirit makes you strong inside. When do you need to be strong? Easter reminds us that the risen Lord Jesus continues to bring us Easter gifts—peace, joy, forgiveness—as he did to the apostles and the first members of the church. But we are also challenged to examine how we work with them to witness to Christ, as Philip the deacon does today in Acts. And the first Letter of Saint Peter makes a few suggestions, calling us first to make Christ our priority: "Sanctify Christ as Lord in your hearts" (3:15). To say Christ is Lord is to witness to him as the Son of God raised from the dead by the Father. From there, it urges us always to be ready to explain to anyone who asks why we have hope, why we can go into the future trusting in God's promise of eternal life, "life in the Spirit," which begins even now. This also means willing to suffer for doing good, in imitation of the Christ who suffered for us. Such a commitment to Christ is not always easy, but Jesus promised to send us the Holy Spirit to be our teacher, who will help us and draw us more deeply into the life shared by the Father and the Son. How will you accept this Easter challenge? Adult: In a challenge you face right now, what will it mean to live the way of Jesus Christ? Child: Name some ways you can be more like Jesus when you are playing with your friends or family. The importance of knowing the way to any destination is less burdensome in our day because technology has brought us the GPS or allows us to link up with various apps on our smartphones. Nevertheless, there are still times when I am driving in relatively unknown territory, with cars whizzing by and night coming on, my digital map so full of information that I yearn for a clear voice to direct me. So too in more substantial matters. Last week, Jesus said he was the good shepherd. This week, he presents himself as the way, the truth, and the life. He will help us reach our destination. In our journey to God, we are also given faith-filled people whose lives show us the way to the Father. As we celebrate Mother’s Day today, consider how your mothers, grandmothers, and godmothers have shown you the way to God by their words and deeds. No parent is perfect, but most do the best they can to care for their children and help them to know God and Jesus and the Holy Spirit. Who are the mothers you have known? Say a prayer for them in gratitude. Adult: How are you a shepherd to those in your care? Child: What will you do this week to show you love those around you? Something special occurs when someone you love calls you by name. It can bring both joy and a feeling of security, just knowing that person is near. Jesus refers to himself as a good shepherd who calls his own sheep by name and leads them out to pasture. 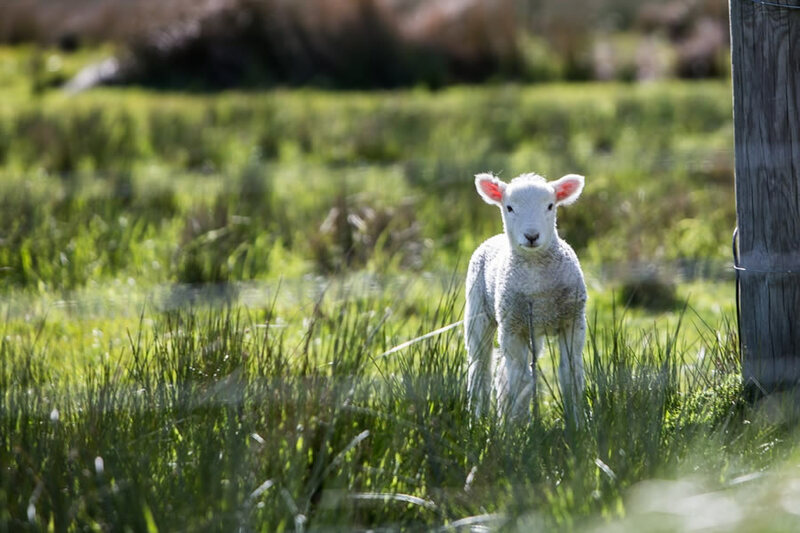 In turn he also says, “the sheep follow him, because they recognize his voice: (John 10:4). It is not surprising that this image of Jesus as a shepherd is one of the oldest found among the gathering places of the early Christians, the catacombs. While few of us live in a setting where shepherds with their sheep are familiar sight, nevertheless the image continues to communicate that Jesus Christ is someone whom we can follow with confidence, trust, and the assurance that he will watch over us and bring us safely home. He is truly the “guardian of [our] souls” (1 Peter 2:25). So we must continue to listen for his voice and do our best to follow him. Saint Peter’s call to repentance in Acts is an ongoing event for us. 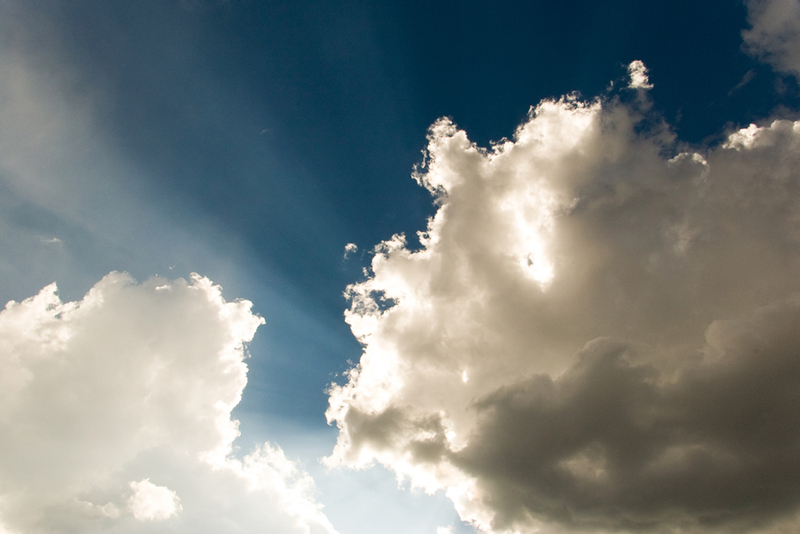 What do you think of when you hear Jesus promise to bring us abundant life? 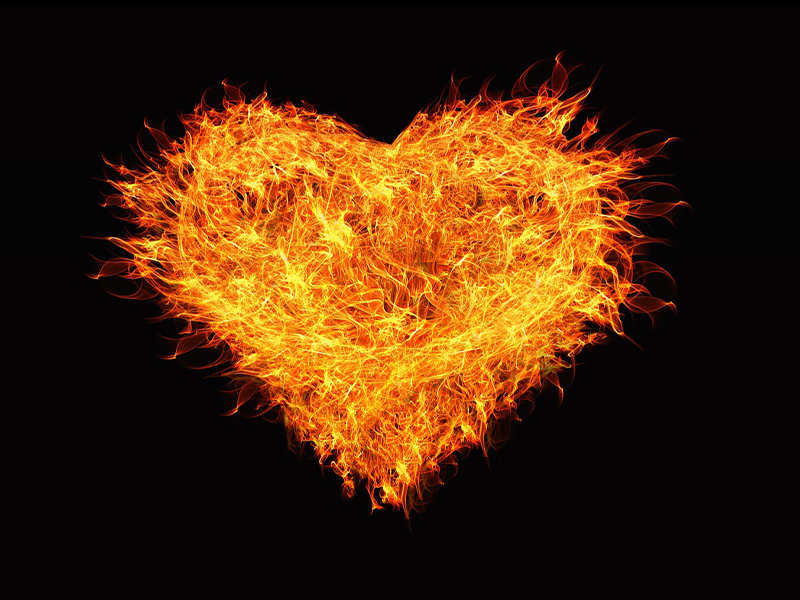 Words of fire can ignite hearts grown weary—and fiery words of faith can renew hearts grown cold. First we hear Peter, whose words had not long before denied knowing Jesus, now boldly proclaiming, “God raised this Jesus; of this we are all witnesses” (Acts 2:32). Cowardice had been transformed into courage. Then we listen to two disciples—some say a married couple—who meet a stranger, appearing downcast when they first speak to him. After telling him about this Jesus who had been crucified, they conclude with obvious disappointment, “We were hoping that he would be the one to redeem Israel” (Luke 24:21). But it is the very words of Jesus as he accompanies them, explaining the scriptures, that lead them to exclaim, “Were not our hearts burning within us while he spoke to us on the way and opened the Scriptures?” (24:32). The joy of Easter faith can be renewed and deepened in us as we listen to God’s word over the fifty days of Easter, attending to the witnesses in Acts, the voice of the first Letter of Saint Peter, and the Gospels of the Easter season. Ask for the fire of Easter faith to burn within you. 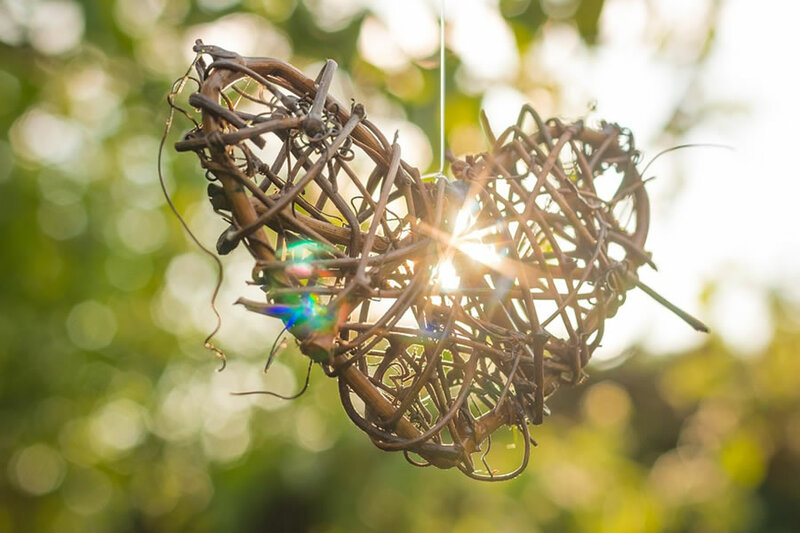 Is your heart open to being inflamed? Adult: In what way have you come to know Jesus better through the breaking of the bread at Eucharist? Child: When you join Jesus at the table of the Eucharist next Sunday, what would you like to thank him for? Adult: We show our faith when we demonstrate courage in the face of difficulty. What could you do this week to help strengthen someone? Child: What could you do this week to encourage someone who is sad or discouraged? Easter creates the Christian community. Christian community means membership in a group that helps you become the person God has called you to be. Acts holds up the first community of believers as one in which its members shared certain values that helped them witness to Christ in the world. These values included devotion to the teaching of the apostles, a life of possessions shared in common, communal celebration of the Eucharist, and prayer. This portrait in Acts still holds today, brought about by the "new birth" in Baptism through Christ's resurrection, proclaimed in the first Letter of Saint Peter. Our Gospel portrays this new birth occurring with the first appearance of the risen Lord. He comes bearing resurrection gifts of peace and joy. 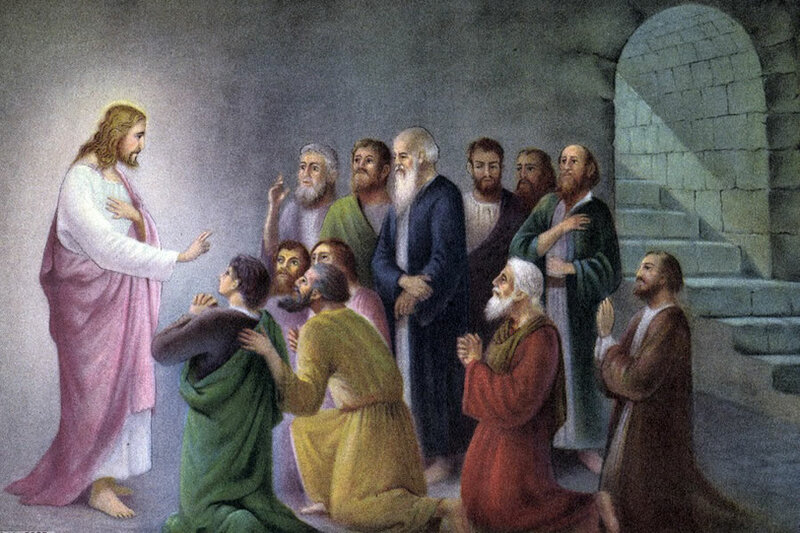 Jesus bestows these gifts by breathing the Holy Spirit upon the apostles. With these Easter gifts by breathing the Holy Spirit upon the apostles. With these Easter gifts comes a commission: Proclaim God's forgiveness to the world. Thomas stands for all who struggle to believe, but who finally make the leap of faith and proclaim to Jesus, "My Lord and my God!" (John 20:28). How does your community help you come to faith? Alleluia! Praise God! He has Risen! John's account of the Resurrection has the least amount of drama in it. No large stone rolled back, no angels appearing with the message of Jesus being raised, and especially no appearance of Jesus, which happens in Matthew's Gospel, read at the Easter Vigil this year. 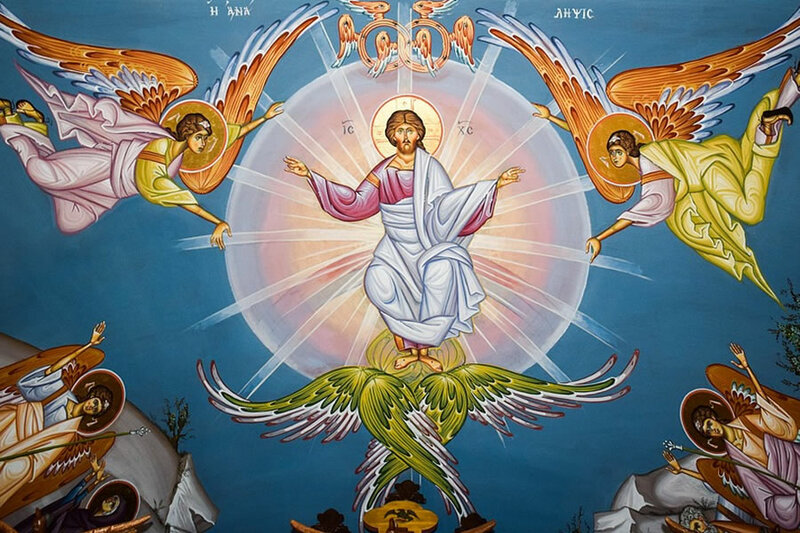 But John's account may have more in common with our own experience of the risen Lord because it remains true to its unique approach of presenting Jesus through a series of signs. Here the sign of resurrection is the reference to the burial cloths, which had been wrapped around the body of Jesus and laid across his face. They signal to us that he is no longer in the tomb; indeed, he has been raised. All beloved disciples (including you and me) are invited to read this sign as the proclamation of the Easter message: He has risen! How do you reflect Easter joy in your life, allowing the risen Christ to shine through you and your actions in everyday life? How can your life shout out "Alleluia! Praise God! 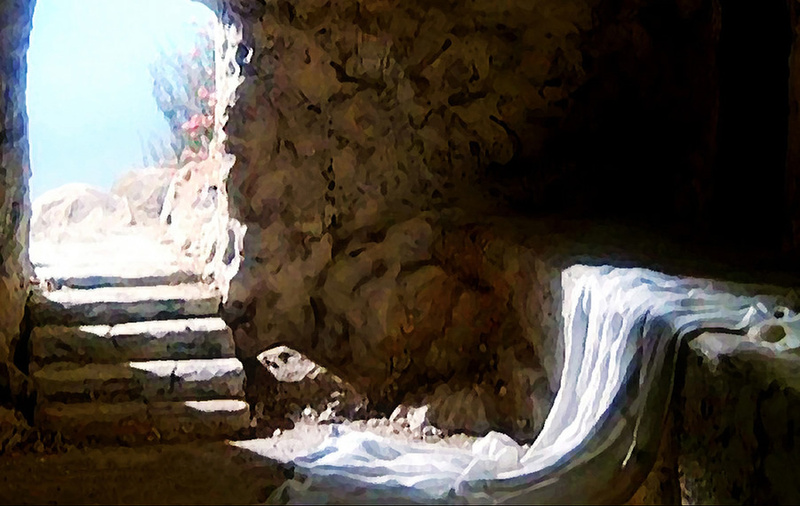 He has risen!" to the world? Adult: What is your experience of resurrection in your own life or the life of your family? Child: Jesus is with us today. How can you see him in the people around you in Church? Palm Sunday is our entry into the most sacred week of the year, when the Church celebrates the Paschal Mystery. 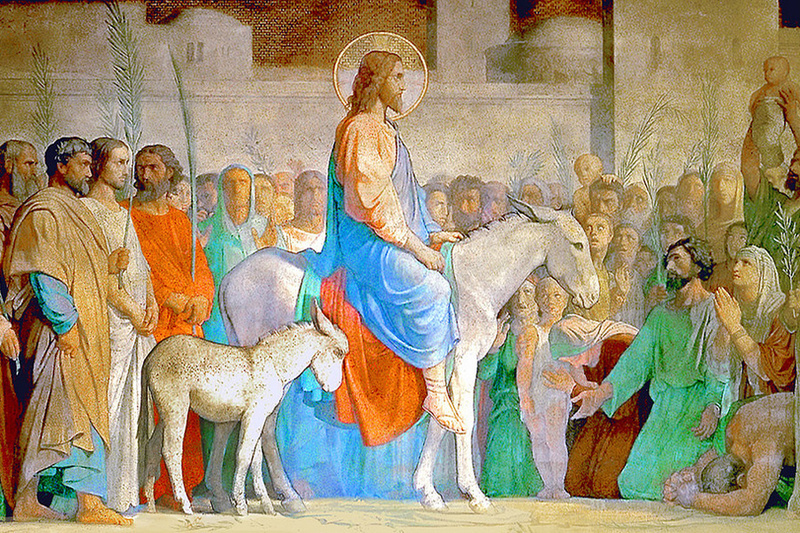 Today we remember Jesus’ triumphal entry into Jerusalem and his joyful greeting by the crowd as the Messiah. “Hosanna to the son of David,” they cry out. We pick up blessed palms today and may even participate in a procession. We are not playacting what happened almost two thousand years ago, but making a personal commitment, acclaiming Jesus today as the One who came and who comes in the name of the Lord to bring us new life in God, winning for us salvation once and for all by his suffering and death. The procession signifies our ascent with him and our willing participation in the act of his self-sacrifice on the cross. Today we remember the suffering and death of the Lord as recorded in the Gospel of Saint Matthew, which presents Jesus as the new Moses who brings about a new covenant. What does is mean to be the people of the New Covenant in our world today? 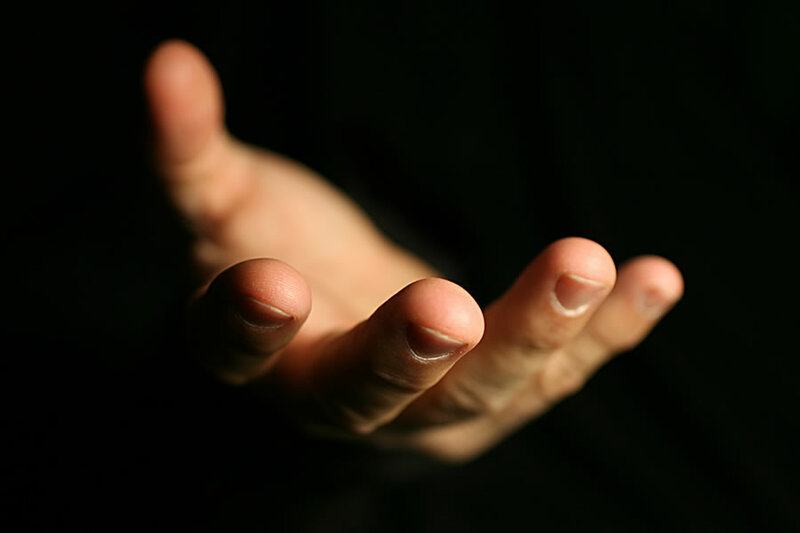 How do we imitate Jesus Christ, who became the servant of all, giving life for all? Adult: We are called to die to ourselves in love for others. How do you live that in your own life? Child: How do you allow Jesus to live in your heart? The third and final personal encounter of Jesus this Lent takes place near the tomb of Lazarus, one of Jesus’ closest friends, with the deceased man’s sister, Martha. As in his meetings with the Samaritan woman and the man born blind, Jesus calls Martha (and us) to a deeper level of faith in him. Martha comes to Jesus as a grieving sister who scolds him for not coming sooner to prevent her brother’s death. This leads to one of the most memorable exchanges in John’s Gospel, concluding in Jesus’ proclamation: “I am the resurrection and the life; whoever believes in me, even if [he or she] dies, will live, and everyone who lives and believes in me will never die” (John 11:25-26). Then Jesus asks, “Do you believe this? (11:26). Our faith in Jesus promises resurrection to us, based on the dwelling of the Spirit, who raised Jesus, dwelling now in us, as Paul writes today. While Ezekiel promises Israel a resurrection from the living death of captivity in Babylon, Jesus’ promise prepares believers for eternal life. Are you ready to answer his question to Martha by professing your faith in him at the Easter renewal of baptismal promises? Adult: Christ calls us from death to new life. To what new life are you being called during this Lent? Child: How does Jesus help you do what is good and avoid what is not?